Last week, we brought you a profile on the all-new Ferrari FXX K. Like we said, this monster features an upgraded dual motor set-up (as seen in the LeFerrari counterpart), combining a gasoline powered V12 engine with an AC permanent-magnet synchronous electric motor. Coupled with an unbelievably unique and effective aerodynamic design, the FXX K is actually able to crank out a mind melting 1035 horsepower! Even with those numbers, it’s still a little surprising to hear that this ride has been priced at a ridiculous $3.1 million. But hey, I guess if you’re rich money ain’t nothing but a number. 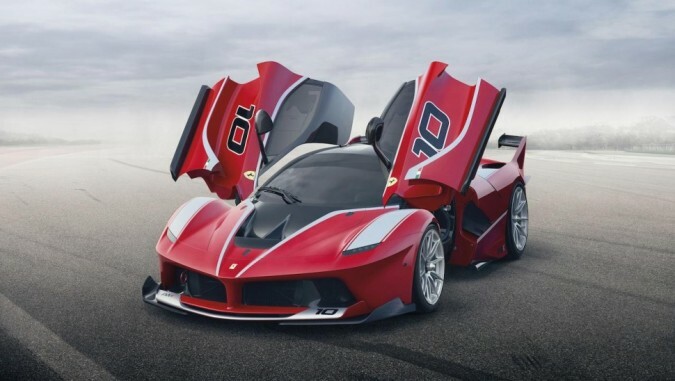 Anyway, over the weekend, the FXX K made it’s official debut at the Yas Marina track in Abu Dhabi as part of Ferrari’s year-end celebration for customers and fans. Take a look at the video of the debut below and have a listen to that roar. This entry was posted in Culture and tagged Abu Dhabi, ferrari, Ferrari FXX K, fxx. Bookmark the permalink.